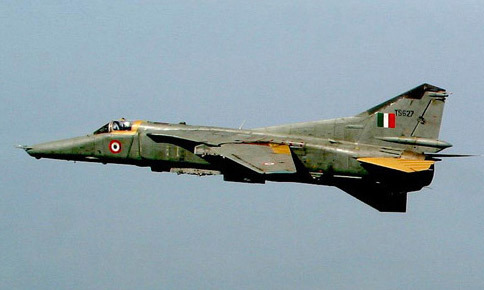 A MiG-27 aircraft airborne for a training mission from Jaisalmer, Rajasthan crashed around 6:10 PM near Pokhran Range. Pilot ejected safely. A Court of inquiry will investigate the cause of the accident.